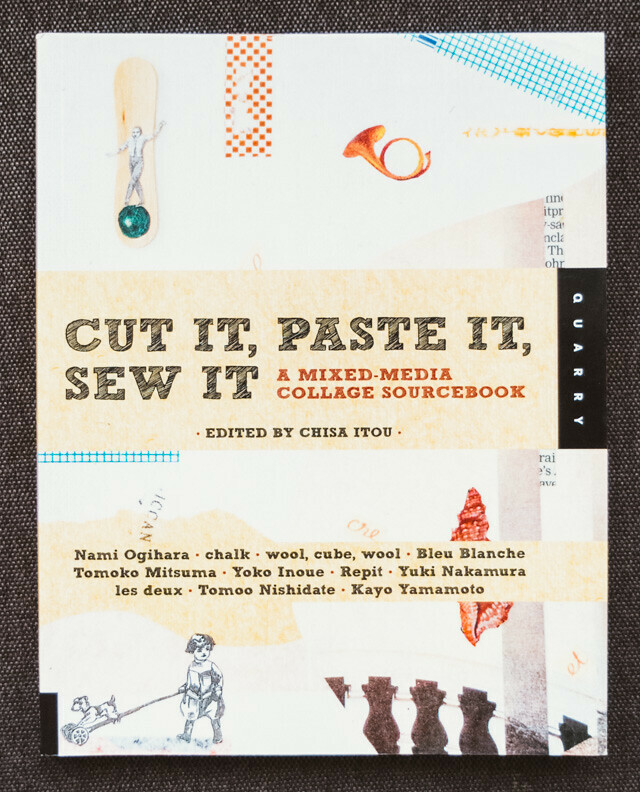 cut it, paste it, sew it is a book that offers a look into the materials and methods that various collage artists use. in addition to this, there’s interviews, peeks into artists studios and of course – imagery of their work. the book is 111 pages long, and has some additional fold out pages (that aren’t too obvious) at the end that you can collage with. fun! 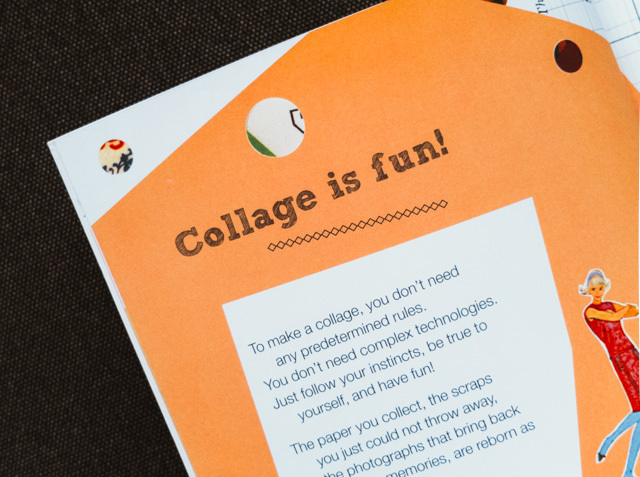 To make a collage, you don’t need any predetermined rules. You don’t need complex technologies. Just follow your instincts, be true to yourself, and have fun! The paper you collect, the scraps you just could not throw away, the photographs that bring back so many memories, are reborn as new materials. the book is separated into sections for each artist. 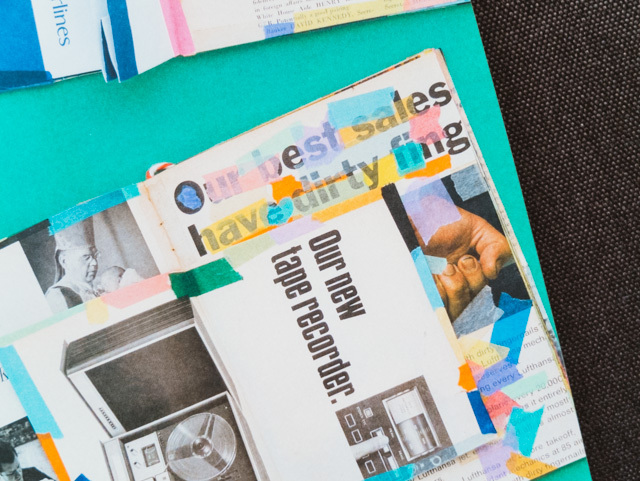 each section includes some of their collage work detailing what materials are used, an basic and more in-depth interviews where they talk about their technique, and in some, studio shots. what i enjoyed about the basic interviews (which are included with every artist) is that the same question is asked, yet their answers are so unique to themselves. if you are a collage artist yourself, or have made any collages in your time i’d love to hear your answers to these! 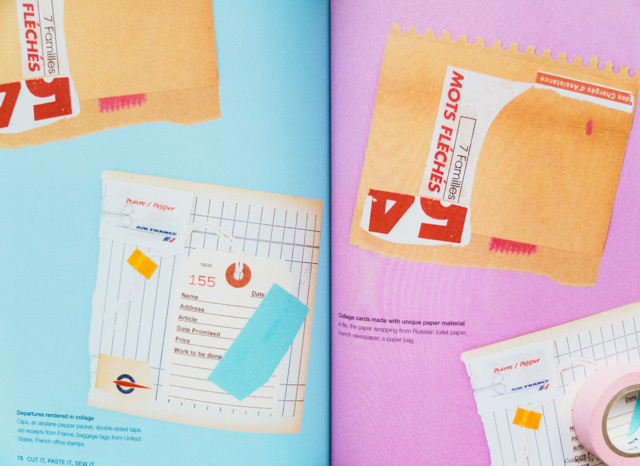 i particularly enjoyed the work of nami ogihara (above), who uses coloured washi tape a lot in her work. it’s fun, simple and very pleasing on the eye! in a very tenuous way the washi tape technique reminds me of the work of matisse. some of the styles shown in this book aren’t really to my taste, but i can appreciate that it shows a good variety and thus can be inspiring to collage artists (and other creatives) of all methods. 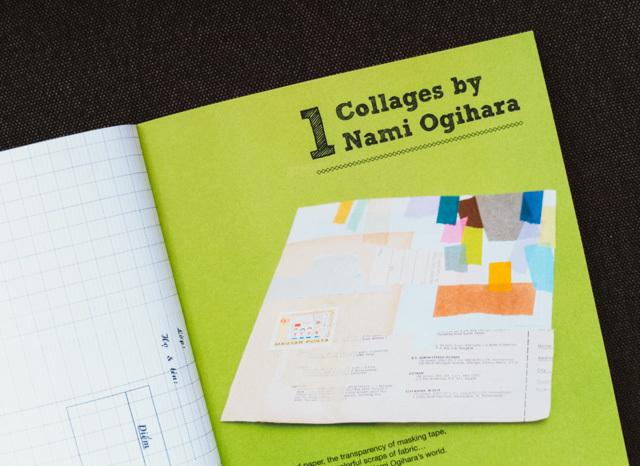 being an artist/illustrator that mostly works with collage, it always pleases me to find books dedicated to collage, whether that be the craft and technique, or dedicated to the works of its makers. i’ve owned this book for a couple of years now and i often go back to it to have a quick flick through or find some details to be inspired by. cut it paste it sew it is a book i think any artist or illustrator would enjoy, even if you’re just looking for a bit of colour inspiration. this would be a great book for older children and teens looking to get into collage, too. ps. if you know of any other collage (or collage based) books that i’ve not mentioned before i’d love your recommendations!